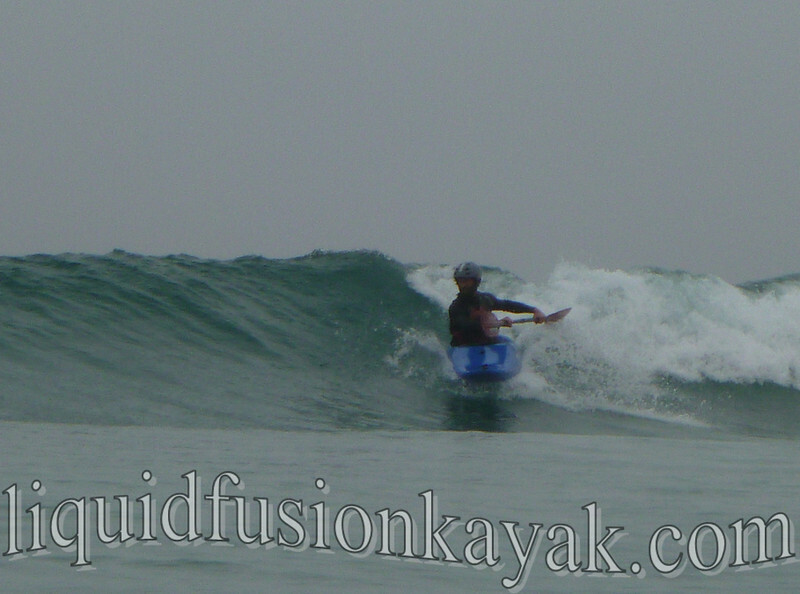 Do you want to enjoy the fun and adventure of whitewater kayaking? From cruising down wild and scenic rivers to rock gardening and surfing waves in the ocean, the possibilities are endless for those with whitewater kayaking skills. 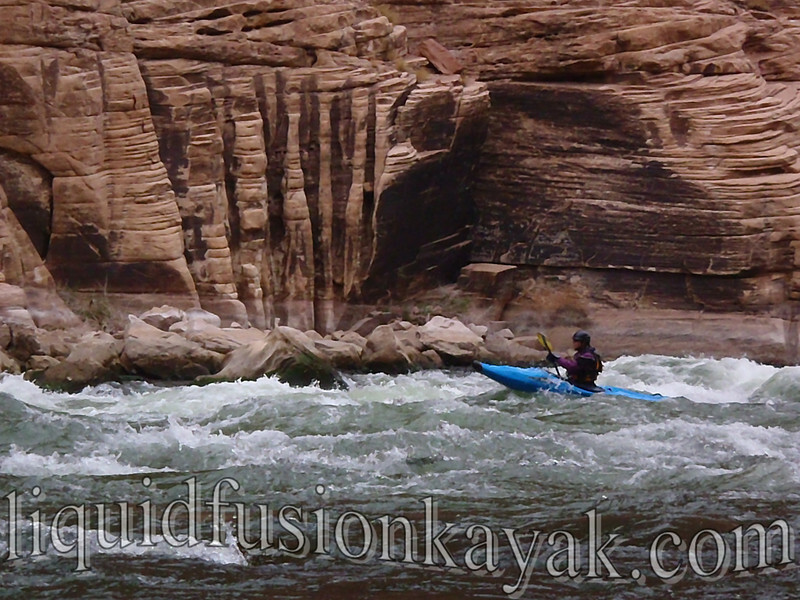 Cate whitewater kayaking in the Grand Canyon. Some like the thrill and excitement of whitewater while others enjoy the wildlife and beautiful places one gets to explore when traveling down whitewater rivers. In Mendocino County, our whitewater river runs range from class I (easy with current and some ripples) to class V (expert only). And even in dry years, there is always plenty of whitewater and surf in the ocean. 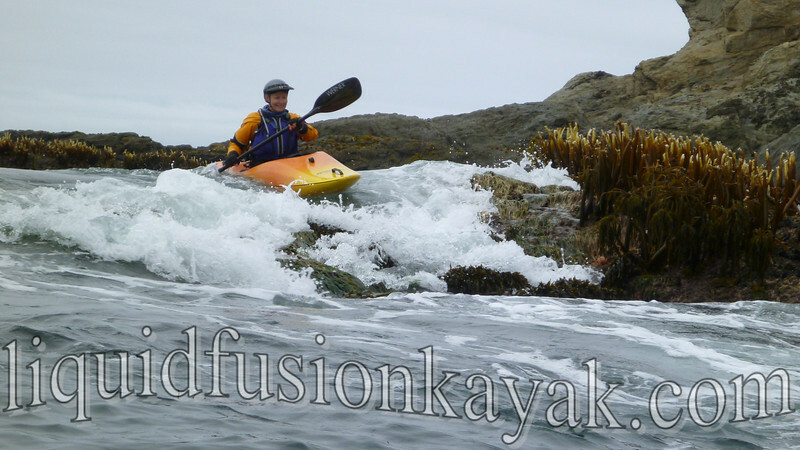 Whitewater kayaking in ocean rock gardens on the Mendocino Coast. 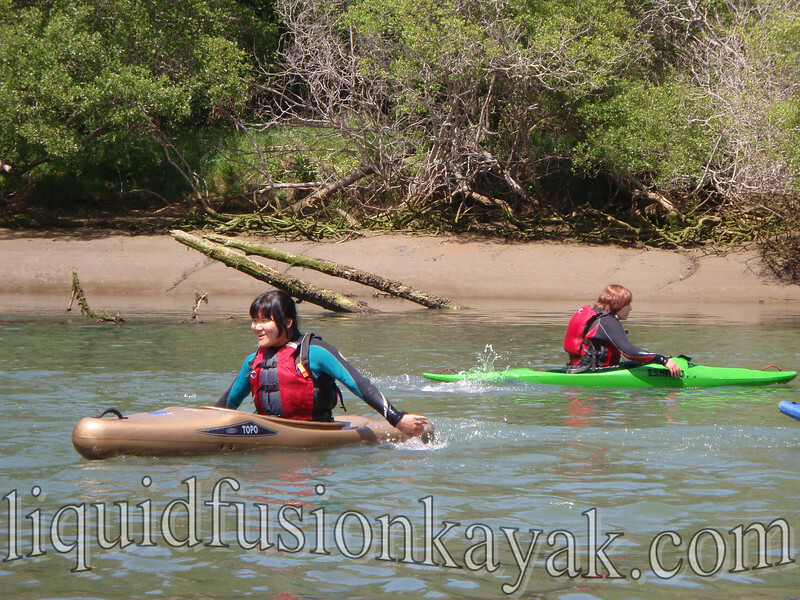 This fall, Liquid Fusion Kayaking has a progression of classes for paddlers to learn the basic skills of whitewater kayaking and to get wet on our local Mendocino County whitewater. 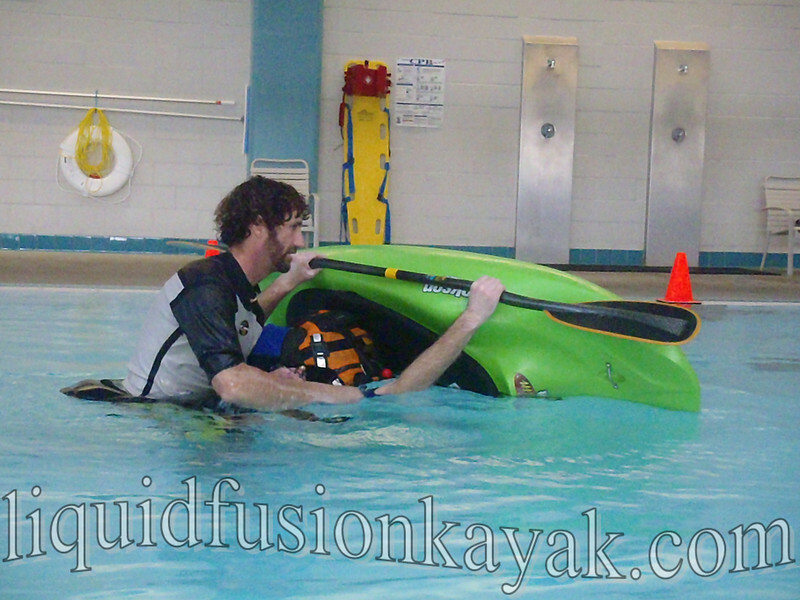 Intro to Whitewater Kayaking (in the Pool) - November 23-24. 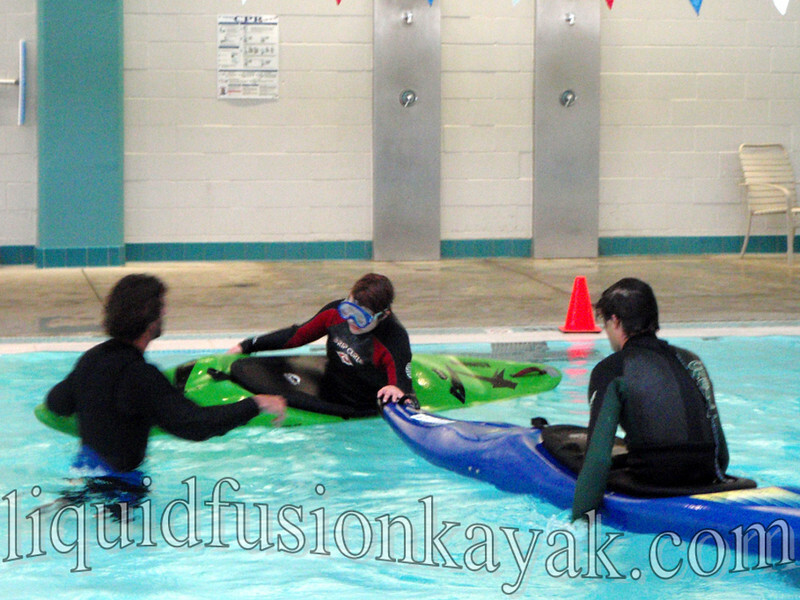 Learning the basics of whitewater kayaking in the pool. 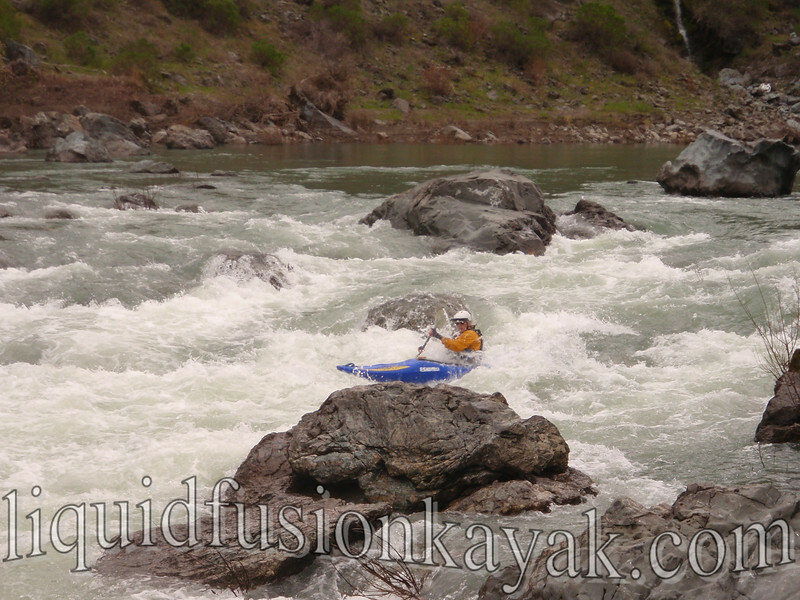 Whitewater River Kayaking I (in easy current) - November 30-Dec 1. Learn to Roll (in the Pool) - December 7-8. 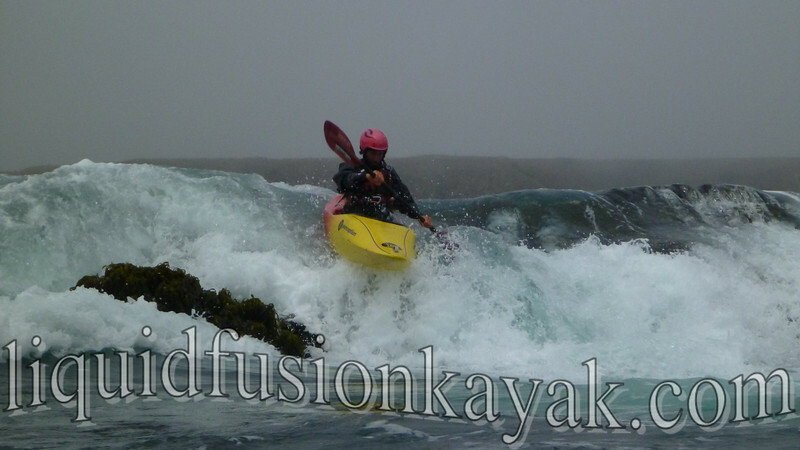 Whitewater Kayaking II (Class I/II on the Eel River or Ocean) - December 14-15. And for those that have developed their skills to an intermediate level - come play with us on our 3 day Holiday Mendocino County Whitewater and Surf Safari - December 27-30. Our goal for this weekend is a triffecta of funness - a whitewater river run, ocean rock garden play, and a surf kayak session. Whitewater of the Sea!!! Kayaking in ocean rock gardens. 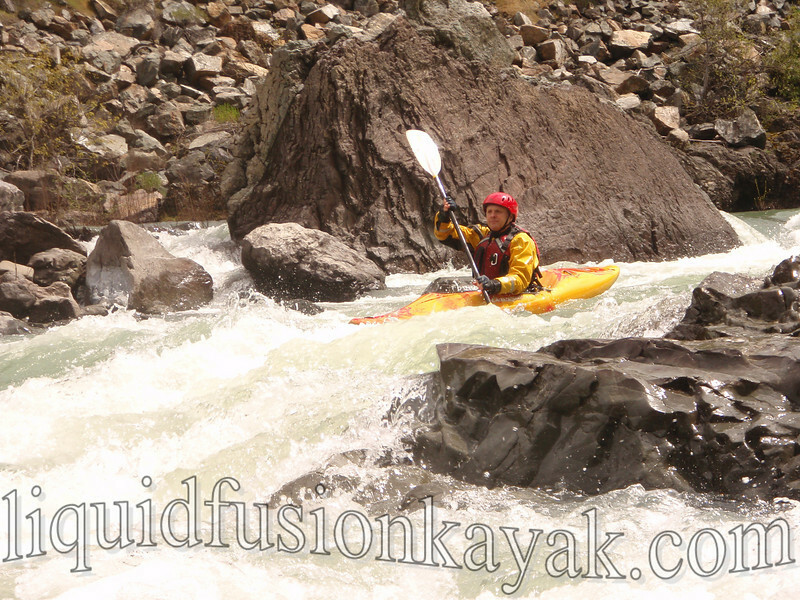 Are you ready for some whitewater kayaking fun? 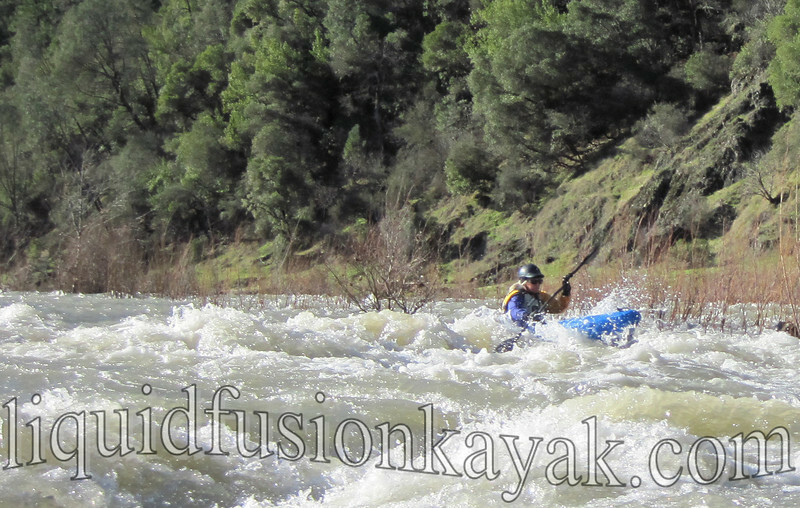 Contact us for more information on whitewater kayaking instruction and guided tours in Mendocino County.